Wow. 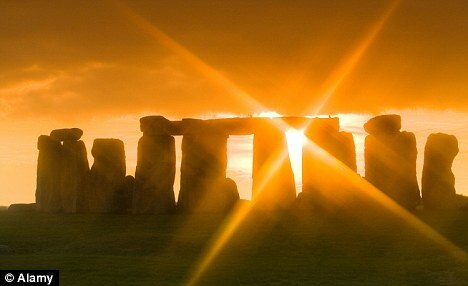 According to archaeoastronomy.com , the 2013’s winter solstice occurs in the central US region at 11:11am. The “make a wish” time of day. I have no idea if the site is reputable, but in keeping with one of my few New Year’s resolutions, I am not going to spend the next hour digging around for other resources. OK, maybe I’ll look for just one. . .
A quick trip to good ole Wikipedia (have you donated a few bucks lately?) captures my resonance with our ancestors. The winter solstice may have been immensely important because communities were not certain of living through the winter, and had to be prepared during the previous nine months. Starvation was common during the first months of the winter, January to April (northern hemisphere) or July to October (southern hemisphere), also known as “the famine months”. In temperate climates, the midwinter festival was the last feast celebration, before deep winter began. Most cattle were slaughtered so they would not have to be fed during the winter, so it was almost the only time of year when a supply of fresh meat was available. The majority of wine and beer made during the year was finally fermented and ready for drinking at this time. Don’t get me wrong, I am more than grateful to not have to worry about overall survival (at least to date—part of me does fear the end days). But what I sense underneath these observations is an overall uncertainty. Will the sun come back? Will the ground come back to life? How long do we have to wait to take off these stinky sheep goat skins? Uh-oh. That was not a quick trip. 20 minutes or so later, I dug up some information about the clothing of Neolithic agrarians, the purported first builders of Stonehenge. I wanted to check on the veracity of the sheep skin claim. I found no mention of sheep skip, but did read that tanned goat hides were used. So were capes woven from grass. Read more at a Brief History of World Costume. Again, no guarantees on source validity. Time to wrap up. I had intended to write about resolutions for this year, but I could not help falling down the rabbit hole. I will force myself to stop and just post without going back to scrutinize. Because my biggest goal of all is to temper my “maladaptive perfectionism”* which so often compromises my ability to bring projects across the finish line—small and big, trivial and important. *Must. Resist. Urge. to look up maladaptive perfectionism to check my usage.